The latest chess tournament news update via FIDE is that the 13th Rochefort Chess Festival was held from 21th to 28th February at the Congres Palais, in Rochefort, France. Just days before the huge Cappelle-la-Grande Open, the Rochefort Festival was an excellent occasion for the players to test their preparations and use the perfect training opportunity. A total of 50 players competed in the Masters section which was reserved for the players rated above 1900. 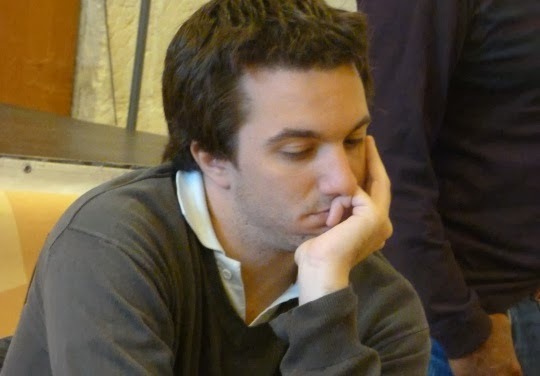 Grandmaster Axel Bachmann (Paraguay) wins the first place with 7 points. He is followed by IM Alexandru MANEA (ROU), IM Evandro Amorim BARBOSA (BRA), IM Vincent COLIN (FRA) and IM Spas KOZHUHAROV (BUL) with 6,5 points each. The tournament favorites, the French Grandmaster Maxime LAGARDE and the Ukrainian Grandmaster Yuri SOLODOVNICHENKO finished only 6th and 7th respectively. WIM Marina BRUNELO (ITA) and WIM N. RAGHAVI (IND) met each other in the last round for a win and a WGM norm but the fight finished in a draw. The Accession tournament, available for players rated under 2000, had 109 participants. The young players got to the winners’ podium: Ines LERICHE (FRA, U16), 3rd, Theo LUTARD (FRA, U14), 2nd and the winner Thomas CHARGELEGUE (FRA, U12), with the impressive score of 7,5 points.